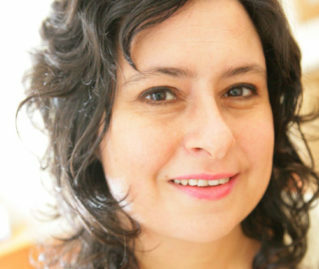 Miriam Akhtar is one of the UK’s leading practitioners of positive psychology, the science of optimal functioning and was one of the first positive psychologists to qualify in Europe. She holds the MSc in Applied Positive Psychology (MAPP) from UEL, the University of East London, to where she now returns as a visiting lecturer. UEL was the first university in Europe to host the MAPP established by Prof Martin Seligman at the University of Pennsylvania. Miriam specialises in applying positive psychology and works one-to-one as a coach, as a consultant in organisations and as a facilitator of groupwork andtrainer. Positive psychology brings a scientifically-grounded framework to executive & personal coaching and evidence-based practice to consultancy. Miriam consults with a variety of organisations including those working in the area of well-being such as Bristol Mind, the Happy City Initiative, POW (Positive Opportunities for Well-being) and Lightbox: the Happiness Project. She is a member of the soon-to-be-hatched Bristol Well-being and Recovery Partnership. Miriam researches positive psychology at the University of Bath and is a founder member of the International Positive Psychology Association (IPPA) and the Centre for Applied Positive Psychology (CAPP). She is a highly engaging keynote speaker at conferences and festivals and has appeared on programmes including Woman’s Hour, Off the Page & Sunday on BBC Radio4 and BBC2′s Secret Life of the Airport. She’s been featured in the Sunday Times, Daily Mail, Independent on Sunday, Cosmopolitan, Top Sante, Men’s Health, Zest, Single Step, Woman & Home, Slimming World, Women’s Weekly and Boots’ Health & Beauty magazine.